We receive orders for screws for construction, machine tools, industrial machinery, chemical plants, etc. customized for specific products and specifications. Contact us for type of screw that cannot be obtained in the market. 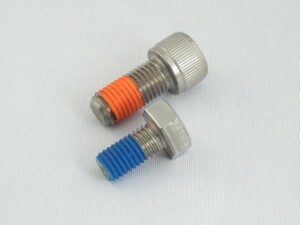 We offer small screws which are not sold in the market. When air vent is required for vacuum equipment, etc. This screw resembles a vise. For adjusting height and keeping horizontal orientation. We also offer screws for piping, etc.